Business communication is a very important subject. If we don’t know how to communicate in the organization we will not be able to control it. Business communication helps us to overcome the problems created because of misunderstanding in an organization. Through business communication we can learn how to contact other organizations and with the people working in our organization. We can also learn to how to pass information in the organization. Business communication teach us when and how to communicate with the people or the organization. It also tech us how make business letters. So this assignment is very important for us. Through this assignment we will be able to know many things about an organizations communication system. Communicating with an organization is not very easy. Either you need some powerful connection or someone familiar in the organization. We went to Paradise Group of Industries. We know someone in the company. He helped us a lot. We talked with the Executive Director Of the Company. He gave the permission to collect the documents we need. But not all the documents accept those, which are important and confidential for the organization. He told us that some documents are very confidential that an ordinary person cannot have even if he knows someone important in the company. Because these are company rules and some of the documents they don’t even have in our organization. The company we went to is “PARADISE GROUPS OF INDUSTRY”. It is a very big organization. They have lot of companies, but we went to only one company that is “PARADISE CABELES”. It is one of the largest and first ISO-9001 Certified Cable Company in Bangladesh. They produce a large part of cables every year in country and abroad. They also buy the raw materials from our country and abroad. PARADISE GROUPS is one of the largest manufacturing companies in our country. The owners of the organization are the members of one family. They control the main sections of the organization. So the owners have to maintain a large line of communication to control the organization. They follow the formal channel of communication. A company like this one has to face a lot of difficulties to control it. But although this problems they maintain the organization very smoothly. Each of the companies has the same communication system so the owners can control it easily. If any of the line breaks the companies communications will fall. The organizations will face great disasters. So it is very important that the line doesn’t breaks. In this companies the notice and the agenda is the same. Both are written in one page. It is different than the book format. In the book format the notice and the agenda is made separately. This notice was made for the monthly meeting of the Staffs of Marketing & Sales Department. Here the company name is in the upside of the notice. The number of the meeting and written date is given at the left side. 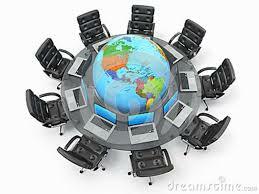 In the table date and time of each meeting is given for the teams. They were requested to bring some documents for the meeting purpose. The signature of the D.G.M. is given below. And below that the name of the person who will receive the notice is given. This notice shows us how the normal meeting of an organization is called. Through this assignment we learnt a lot of things about an organizations communication system. We learn from their faults. After talking with them we know that maintaining communication in an organization is a very tough thing. It takes a lot of experience and knowledge to control such organization. During this assignment we all gain a very little experience ourselves. It will help us in the future.